Make part bins. Lots of drawers and such. Second question, is this “project” worthy of a project or blog post(s)? I m not sure there are many noobs as raw as I am, so I don t know there d be much interest. OTOH, maybe some folks would appreciate comparisons between first time, and last time effort. I dunno. 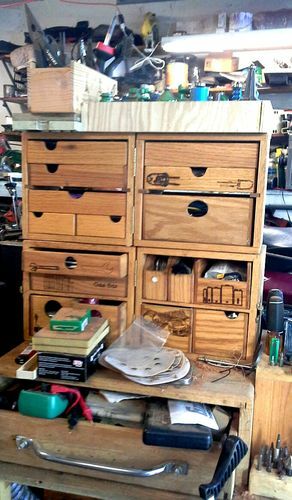 There’s another thread going on currently with a member learning to cut dovetails, and he’s getting a ton of support from other members. Photos definitely help too. I say get something started — a blog seems appropriate — and show your progress. There are a lot of talented people on here who had to learn themselves and can help you along the way.